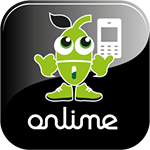 If you want to take advantage of our competitive rates to call national or international numbers, you’ll need to buy Onlime credits. These are available in several convenient ways. TalkOnlime customers can buy credit online via PayPal, VISA and MasterCard. Please check our VoIP services price per minute for most of the World destinations HERE. You can buy just the amount of credit you need. Please note we accept only USD. If you are paying using another currency, your bank will automatically do the conversion, using the current exchange rate. Our Terms & Conditions and Refund Policy can be found HERE. The TalkOnlime also includes streaming of your favourite television and radio stations. For now we are broadcasting the following channels from Sierra Leone to the rest of the world, but we will be adding many more channels shortly.